I had a few blackberries. I had a lot of blueberries. 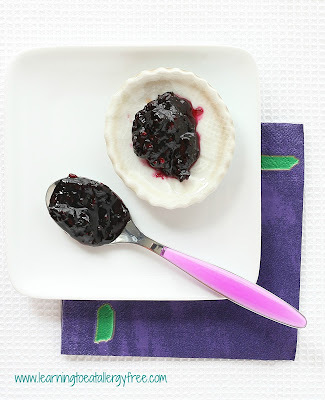 Instead of just plain blueberry jam I decided to combine the two. Oh my! Combine all of the ingredients and let them sit for an hour. Bring the mixture to a boil over medium high heat. Reduce the heat to medium and boil for 18 minutes, stirring occasionally. Fish out the vanilla bean. Boil for another 8 to 10 minutes, stirring frequently, until thickened. 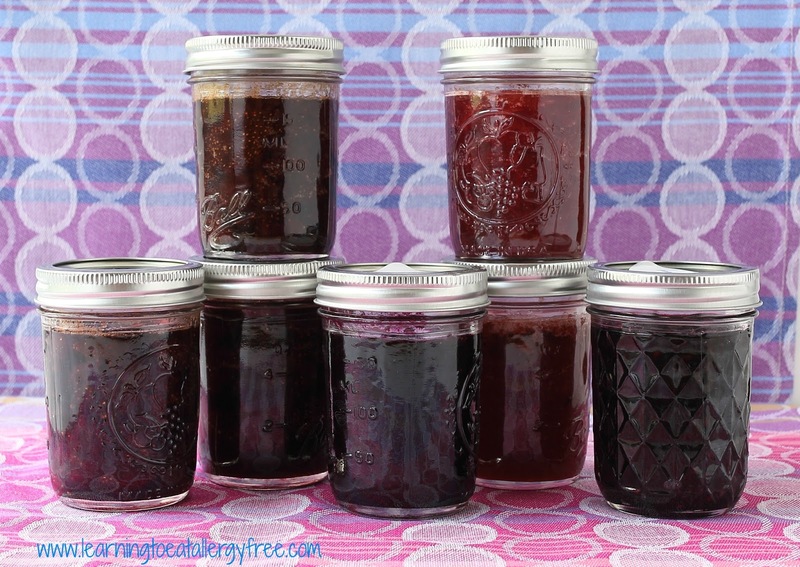 You can refrigerate or freeze the jam, or preserve it in a water bath. You can find some great instructions on how to do that in The Allergy-Free Pantry . Once again....I am craving a nice piece of bread to go along with this yum looking recipe. Colette, that message from Unknown was me! Hubby was signed onto my computer and I did not notice. Caroline, thanks for your comments and for letting me know. Yes, nice, warm, just out of the oven bread!! I've never seen anyone with berry allergies. 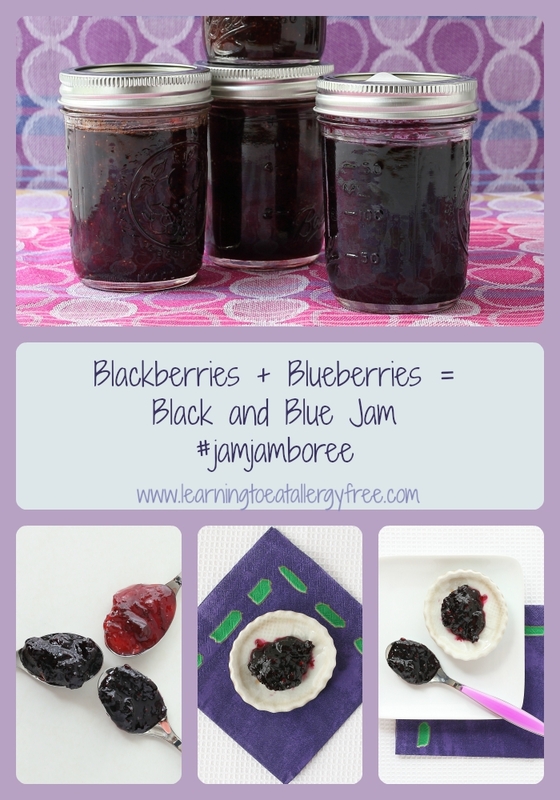 This recipe sounds wonderful and I'm going to try it soon. 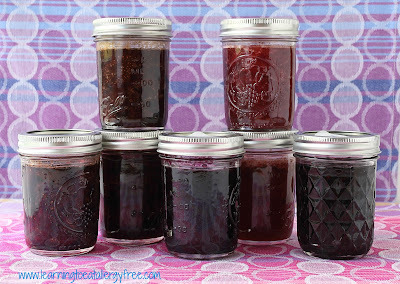 A friend's son on Affimity has bad nut allergy and craves store bought jams and spreads. Maybe this recipe could help her?